Malaysia Airports Holdings Bhd (MAHB) and subsidiary Malaysia Airports (Sepang) Sdn Bhd have jointly served a letter of demand on AirAsia Bhd, AirAsia X Bhd and their respective chief executive officers, Riad Asmat and Benyamin Ismail. NST file picture. KUALA LUMPUR: Malaysia Airports Holdings Bhd (MAHB) and subsidiary Malaysia Airports (Sepang) Sdn Bhd have jointly served a letter of demand on AirAsia Bhd, AirAsia X Bhd and their respective chief executive officers, Riad Asmat and Benyamin Ismail. The airport operator said the letter of demand was due to several inaccurate and misleading articles published on the online portal AirAsia Newsroom. In a statement today, MAHB demanded AirAsia to remove immediately the said articles from AirAsia Newsroom, and cease and desist immediately from making further false, inaccurate and misleading statements about it. “While Malaysia Airports takes no issue with AirAsia informing its shareholders of the progress and status of court suits in accordance with the law, AirAsia has overstepped its boundaries by publishing false, inaccurate and misleading statements in the media aimed at damaging the reputation of Malaysia Airports,” said MAHB. 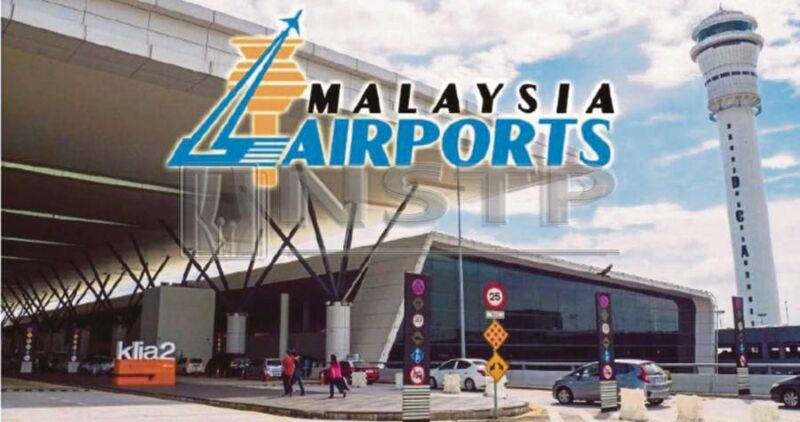 The letter of demand was to protecting its interests as the main airport operator in the country, MAHB added. MAHB had filed a lawsuit against AirAsia and AirAsia X Bhd on December 10 for a collective RM36 million in outstanding airport tax collection. The sum represents the balance of a gazetted airport tax rate, known as the passenger service charge (PSC), on international departures that AirAsia had refused to collect in full. Late last week, AirAsia said MAHB had rejected its offer to mediate a dispute over the PSC. AirAsia had proposed mediation to MAHB in an attempt to amicably resolve their dispute over PSC at klia2. The Malaysian Aviation Commission (Mavcom) Act 2015 requires MAHB and airline operators to mediate any dispute. Legal action may only be used as a last resort when other efforts have failed. Menawhile, MAHB said it maintained its long-standing position that the relevant dispute and related matters had all been presented before the courts for determination and parties should let the matters be decided by the courts. “Hence, there is no necessity for AirAsia to make disparaging remarks about Malaysia Airports,” it added. MAHB said it had reserved all its rights to take further necessary action should AirAsia refuse to comply with the letter of demand or persist in making further false, inaccurate and misleading statements about the company.